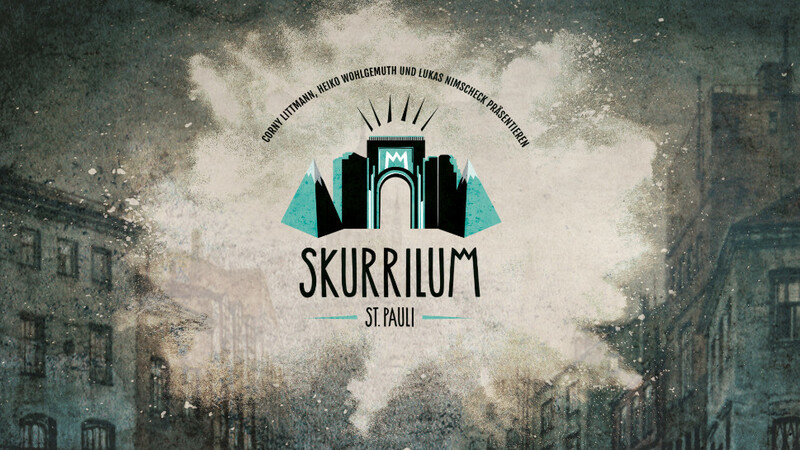 There is no doubt in my mind that Skurrilum is the jewel in the crown of Hamburg’s games. In fact, it is the best venue in any of the cities I’ve visited. At the time of writing, they have five games, of which two are available in English (Malvini’s Legend and The Phantom Island), one is in the process of being translated, one may be translated in the future and one will never be translated (Guschis geile Grotte). Malvini’s Legend and The Phantom Island are both very good games. Beautiful theming, enjoyable puzzles and an overall high quality experience. Each is worthy of visiting in its own right, regardless of the other games at the venue. Guschis geile Grotte (Guschi’s horny grotto) is raved about by everyone that I’ve heard play it and is by all accounts better than the previous two. The two Ernie Hudson games are just in a whole other class. I’ve played 500+ escape games across much of Europe with all manner of themes and puzzle styles. Sitting proudly at the top of that list are the two Ernie Hudson games. They’re the real deal: immersion, exploration, theatre, puzzles, decoration, audio, flow and narrative. In every way I can image, they deliver. If they had weaknesses, I didn’t notice them. What they delivered was an adventure of which we were the stars. I will be forever grateful that they agreed to let us play these games in English and, to be honest, slightly disappointed that I don’t speak German and was therefore unable to experience them in their full glory. The great Magician Malvini discovered the secret to immortality. Now’s your chance to follow in his footsteps. In contrast with the other three games we played here, this was a wide open space – if you’ve got any mobility issues, it’s definitely the one to pick. Instead of moving from place to place, this one is all about investigating what’s in front of you, poring over all the props that are on offer and teasing out the relevant pieces of information. And there were a lot of props. In most games, I’d have considered them red herrings, but here it seemed like we generally knew what was relevant and what wasn’t. For once, the props really did feel like they were there just to help tell the story. There’s a very clear goal from the outset, but there’s still a story squirrelled away amongst the puzzles. It’s never forced on you, but it’s there if you look. The game is filled with plenty of puzzles to keep you entertained, and that wide open space meant that many of those puzzles were on offer right from the start. That’s not to say that they didn’t have some cool reveals in the game. You could see the theatrical background in the way that they’d set up certain parts. At times it felt less like they were trying to challenge you with a puzzle and more like they were getting you to act out some theatre within the room. The finale for this game is pretty much the perfect ending, given the mission, and a case in point for that theatre. The final reveal is a fun way to the end the game, continuing the immersion even after the clock stops ticking. There are few game starts that I’ve liked as much as the opening to what was, to my mind, a pirate game. It was both a nicely themed way to begin the game – giving you the impression of fighting your way onto a deserted island – and a clever use of space. I love when games don’t just throw you through a door and into a room but give you some sort of journey to allow the immersion to take hold. In fact, this game is beautiful throughout, with a set that just keeps improving. The puzzles didn’t feel particularly numerous, but they were chunky enough and made fun additions to the game. It’s worth saying that there’s one puzzle that is destructible or, rather, has a limited number of attempts. It’s easy to think that you just have to jump in and hope but, trust me, there is a proper puzzle there. You can solve it without relying on any luck at all. There’s one piece of in-your-face technology which, for me, simply didn’t belong in the experience. It was a bottleneck that excluded most of the team, in our case it had a tech failure that broke the immersion and, most importantly, it just felt completely out of place in such a beautiful game. It was almost as if they’d thought of the idea and just forced it into the game in front of them. There are games where it would have worked fine but in my opinion, this simply wasn’t one of them. Again, we caught a glimpse of the designers’ stage background with a couple of moments that felt less about escape rooms and more about the experience. The finale in particular was a nice mixture of puzzling and theatre, with a little bit of comedy thrown in. If you were interested in puzzles and mysteries as a child, you may have come across the Three Investigators, a series of story books that were effectively Agatha Christie for kids. Three boys would investigate a mystery, and as you read along, you’d try to solve the mystery yourself. That series of books was published in Germany (as Die Drei ??? – yes, that really is The Three Question Marks) and quickly made into a series of radio plays of which they’ve now sold 45 million copies. That’s all a roundabout way of explaining how the theming in these games was created. The designers grew up with these radio plays and wanted to emulate their style in a game. Ghost Hunter Ernie Hudson was born (and kudos if you recognise the Ernie Hudson reference). You play these games accompanied by a narrative voice, with each step having some sort of audio that accompanies it to set the scene or reinforce what has just happened. Sadly, at the time we played, they were only in German, but you could still pick up much from the tone of the voice, and they translated the key elements onto paper for us. Not quite as good as the original, I suspect, but it worked well. So, it’s very clear that there’s a strong story here, with the theatrical element of the audio to go alongside it. But what else? Well, the scenery is stunning and plentiful. The owners’ theatre background has paid dividends with them obviously having access to talented set designers and a clear vision of what they wanted to create. Everything from the minor details on the smallest props to the structure itself is well thought out, and there was nothing that felt rough from a visual point of view. The theming changed constantly as you moved forward in the story – this wasn’t as simple as creating the image of, say, a haunted house, but rather an imagining of several scenes within it. Layered on top of the decoration was the theatre of the game – not just how it looked but how it reacted to you: how you input solutions to puzzles and what happened when you got them right. Here, they truly excelled. In most games, one moment might stand out as impressive. There have even been games with a couple of these. But no game has come close to this: at least three standout moments and several others that would still have been the best in most games. Of course, this is an escape game, so I should talk about the puzzles, the part where the best games usually seem to struggle. This is perhaps where Skurrilum really stood out from its peers. Across the four games, there wasn’t really a puzzle that I felt was poor. Everything felt logical and fitted pretty well with the theme. In this game, they barely even felt like puzzles at the time but just like another stage in solving the mystery that Ernie Hudson was investigating. And all that leaves is the finale which, of course, was impressive. The story wrapped itself up nicely, in a way that fitted with the Three Investigators’ style, and the only complaint I had was that, as the person completing the last puzzle, it was easy to get distracted and miss the final interaction with the room. Not a big deal, but I wonder whether they could do something to make sure everyone’s attention is drawn to the appropriate point at the right moment. Of all the games I’ve played, none has felt so… complete. They delivered every aspect of this experience well, and for that it thoroughly deserves the accolade of being the best game I’ve ever played. Having just played the first Ernie Hudson adventure, I went into the second room with both high expectations and a sense of trepidation – surely they couldn’t keep up that level of quality in the second game? As with their first game, they started off with what was almost a holding area – a small space with little in the way of puzzles that I suspect was intended to help transition you from the real world to the game world as well as providing a training space for new teams. In most games, these spaces would have been the highlights of the theming, but in both Ernie Hudson games they were little more than appetisers, whetting your appetite for the main event. The decoration was again amazing throughout and, in retrospect, what really impresses me is that they’d gone in a very different direction with the two games. A ghost hunter could easily have gone back to another haunted house, but instead they’d gone with the surprising theme of a zoo. That was also true of the storyline, which developed throughout the game. In The Zoo of Death they’d opted for a darker narrative where you had to investigate the goings-on at the long since closed establishment. It’s told in bite-size chunks from before the game begins up to the point that you escape and solve the mystery. That approach meant that I managed to absorb the narrative in a way that few other games have managed. The Ernie Hudson games don’t just tell you a story – they get you to live it. The puzzles were, once again, impressive and, while there were one or two moments that felt more like a traditional escape room, most of the challenges presented to us were very much part of investigating the mystery. In some cases I’m pretty sure they were designed to help invest us in the story. I could go on: there was a great sense of exploration, the theatre of the game was first-rate, they injected moments of humour and sadness, the finale managed to be even better than the Crying Lady. Once again, Skurrilum had absolutely delivered an adventure. It seems almost unfair: if I’d played this game just an hour earlier, it would have been ranked as my favourite escape room, but instead it has to sit in second place. Reminder: this game is only, and will likely only ever be, available in German. I didn’t get to play their fifth game because it relies so heavily on German, but I did get to take a quick look inside at some of the pivotal moments. What I can tell you is that it’s another game full of amazing detail. While I can’t fully judge it having only seen a few moments from the game, it does seem like some people may struggle with the content. Certainly, if you have epilepsy, you’ll need to let them know in advance but, even if you don’t, I think there will be parts of this game that some of your team may find unpleasant. More importantly, it contains some video scenes with strong sexual and/or violent themes that should probably carry trigger warnings. If you’re at all concerned, then either get in touch with the venue or drop me an email and I’ll be happy to give you more details.